1920’s Chicago. An economic disaster looms. Manipulation of the stockyards by greedy profiteers and an over-production crisis have caused the meat-packing factories to close. Outside the factory gates the poor and unemployed wait, willing them to re-open in the hope of escaping the bitter grip of winter and poverty that looms. Revolution is in the air. Into this steps Joan Dark – a fearless fighter and religious advocate, on a spiritual journey to convert the masses and challenge oppression and injustice wherever she finds it. 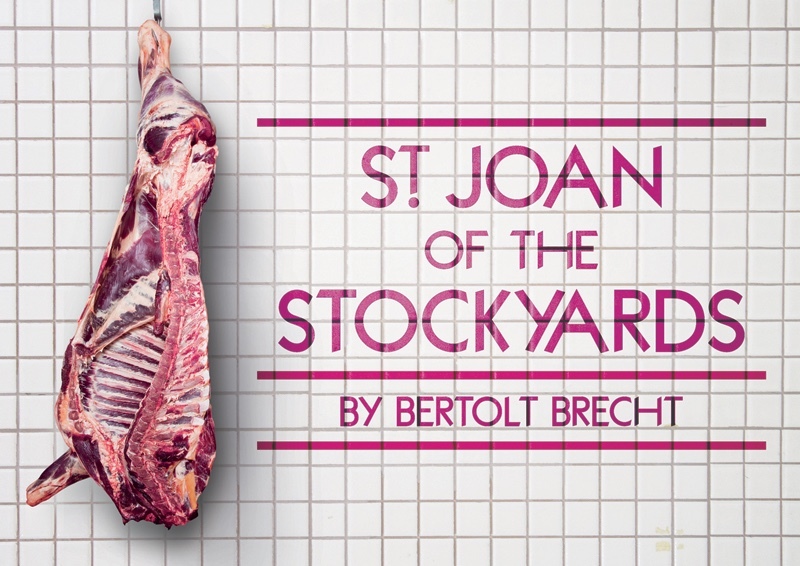 Written by one the 20th century’s most influential playwrights, Bertolt Brecht, St Joan of the Stockyards is a darkly comic, cautionary tale of romance between a meat-packing tycoon and a Christian missionary. More socially and politically relevant now than ever before it invites us to consider the lines of corporate manipulation through which people are controlled, the power institutional religion has to combat economic and social injustice and the resultant effects of all of this on the poorest in society. This rarely performed 20th century classic will be brought to life with stunning immediacy by the award-winning Bristol Old Vic Young Company. 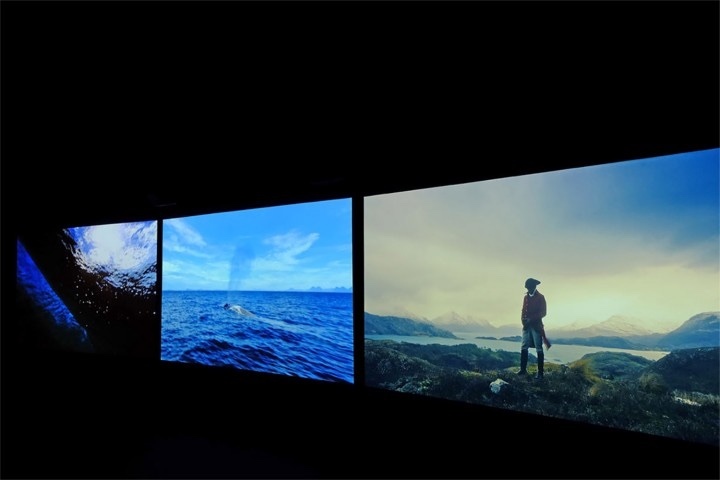 Vertigo Sea, a three-screen film, first seen at the 56th Venice Biennale as part of Okwui Enwezor’s All the World’s Futures exhibition, is a sensual, poetic and cohesive meditation on man’s relationship with the sea and exploration of its role in the history of slavery, migration, and conflict. Fusing archival material, readings from classical sources, and newly shot footage, the work explicitly highlights the greed, horror and cruelty of the whaling industry. This material is then juxtaposed with shots of African migrants crossing the ocean in a journey fraught with danger in hopes of ‘better life’ and thus delivering a timely and potent reminder of the current issues around global migration, the refugee crisis, slavery, alongside ecological concerns. As part of the exhibition, a new work Tropikos (2016) will also be shown. Set in the sixteenth century and using the writings and memoirs of a number of seafarers as its raw material, this single channel film is a Brechtian costume drama which merges Shakespeare’s The Tempest with true accounts of the journeys to and dreams of the ‘New World’. After showing in Bristol, Vertigo Sea will tour nationally as part of the ACE Strategic Touring Programme that has been awarded to Arnolfini as the tour leader. The exhibition will be shown at Turner Contemporary in Margate and the Whitworth in Manchester, with other potential partners to be announced shortly. In his largest exhibition to date, Michael Simpson shows work spanning the last 25 years alongside new works. 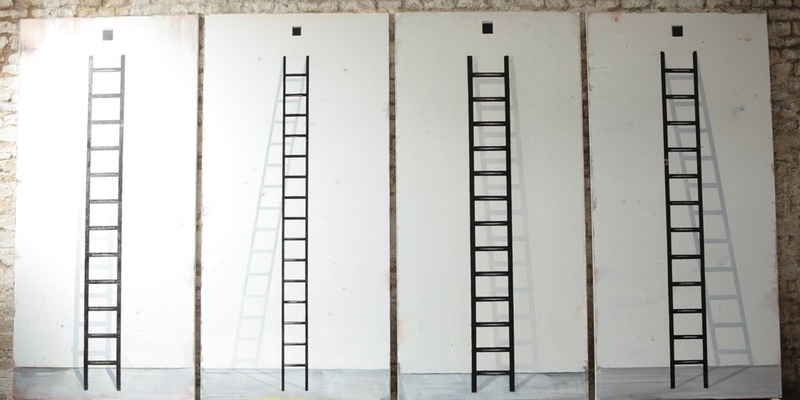 Simpson makes large scale paintings in an ongoing series that repeat and rework a number of key elements which relate to his interest in the infamy of religious history. His austere bench painting series (1989–2009) was made as a homage to the Neapolitan renegade philosopher Giordano Bruno, burnt at the stake by the inquisition in Rome’s Campo dei Fiori in 1600. The bench itself serves as a fixed coherent form within the paintings, the structure through which Simpson explores the pure language of painting — form, colour composition — through imagery without figures, yet implying a profound human presence. Tagged 2016, bertolt brechet, bristol, bristol old vic, Flat Surface Painting, january, Kevin Mcgough, Michael Simpson, Must see Monday, Somerset, st joan of the stockyards, the fix, the fix magazine, whats on. Bookmark the permalink.